UPDATE: I submitted feedback for a feature request after downloading 1.3, for Xcode iOS Simulator screenshots to be managed with Shotty. Not only did the developer reply to my request, the feature I requested is now available in 1.4! Where can I pay more money for this??? I’ve been using Shotty for several months, and it’s completely revamped how I manage screenshots. It’s had a few points of friction that slowed things down, but I’m thrilled to see that version 1.3 has fixed every single issue I had! 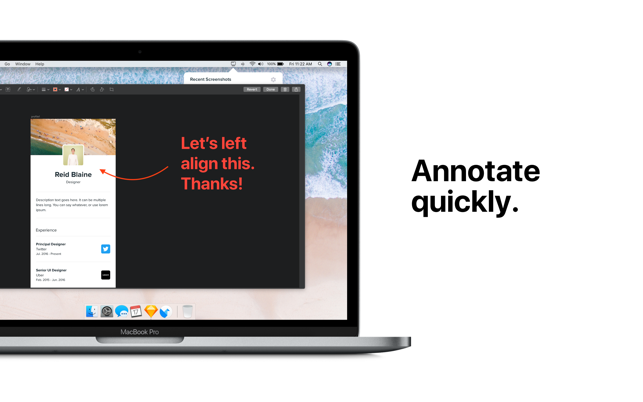 Copying, annotating, and previewing improve my workflow almost as much as using Shotty did months ago. I’ve recommended this app to everybody in my office with a Mac, and I’d pay twice the listed amount again if I needed to! 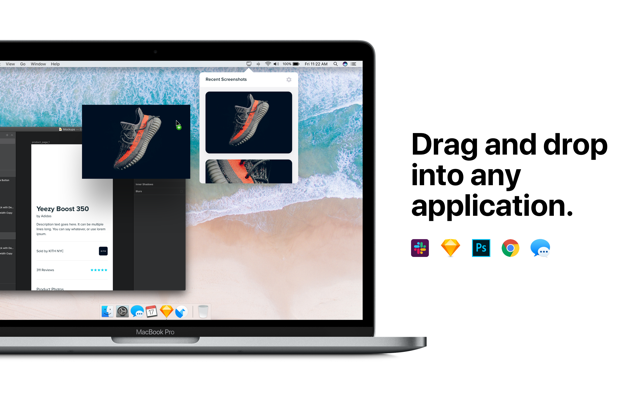 * Create a directory for screenshots: ~/Screenshots - with this, your desktop will forever be clean of screenshots and Shotty is right there in the menu bar to get at them! 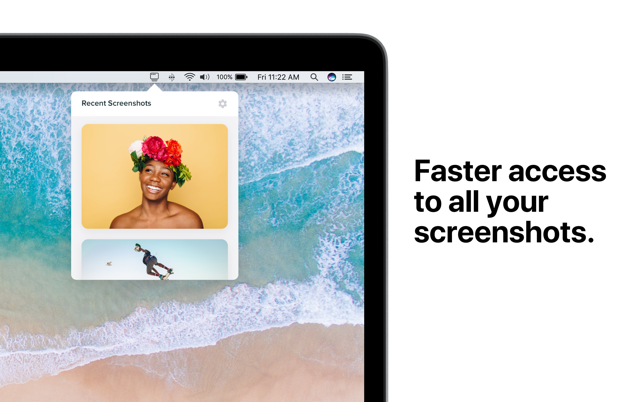 Such a useful app for dealing with recent screenshots and makes it possible to drag and drop them in to apps. 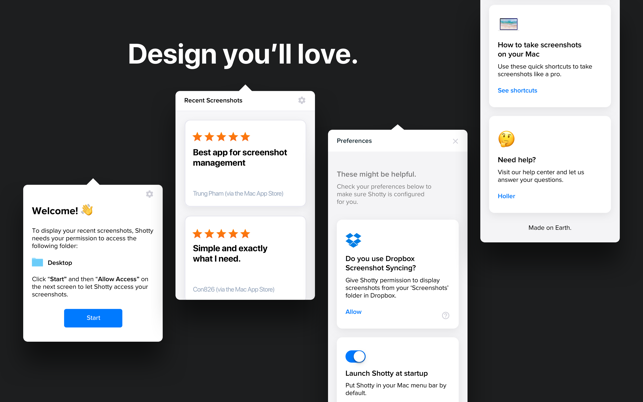 The developer is also so responsive to feature requests, as support for screenshots from the iOS simulator was added soon after being requested. So great!